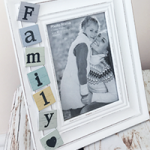 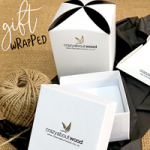 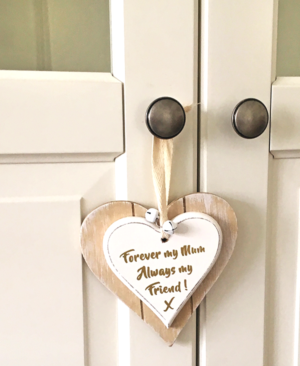 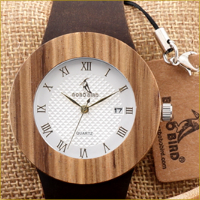 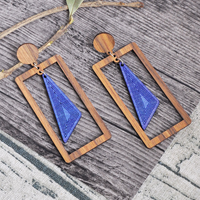 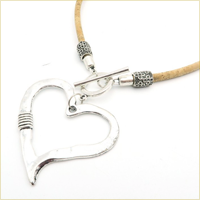 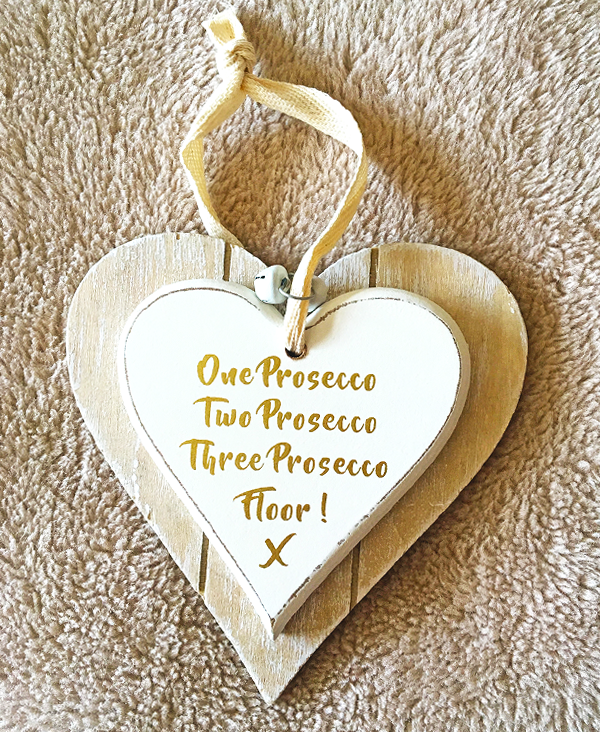 Part of a collection of Prosecco inspired plaques, the white painted heart sits against a natural wood background with a neutral ribbon and bell completing the look. 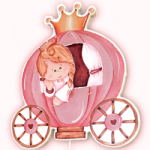 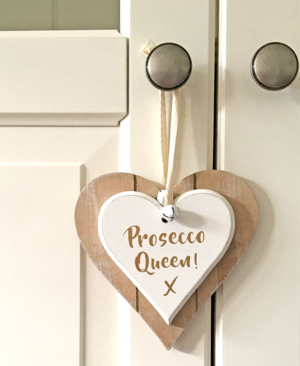 Anyone whose favourite tipple is a glass of fizz will appreciate the gold painted wording on this stylish double heart plaque – “Prosecco Queen”. 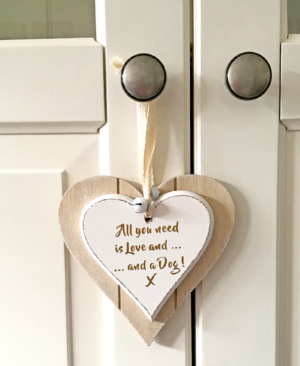 Fans of our four legged friends are sure to love the gold painted sentiment displayed on this lovely heart plaque hanging decoration – “All You Need Is Love & A Dog”. 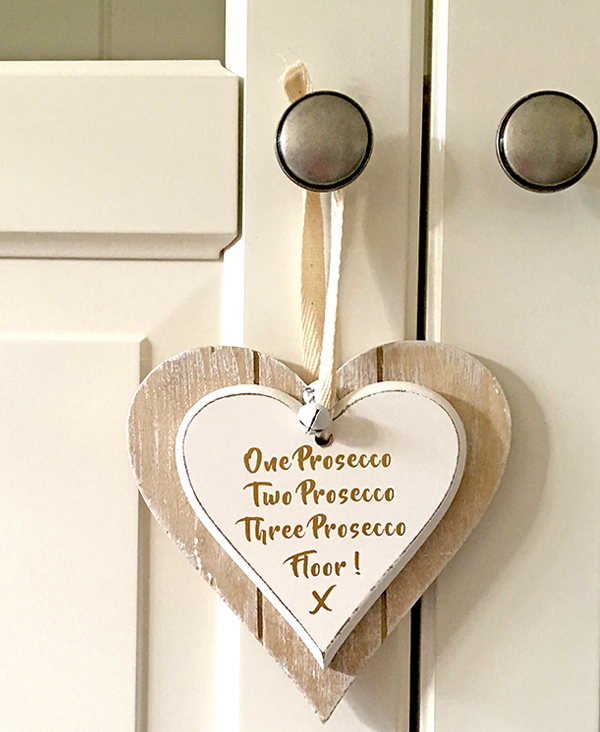 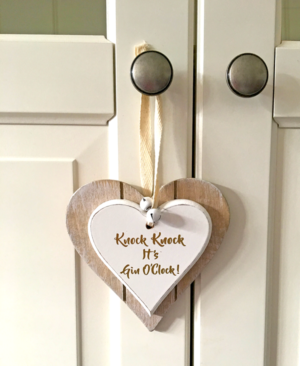 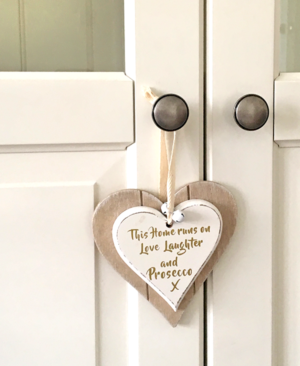 Prosecco fans are sure to appreciate the gold painted sentiment on this lovely hanging decoration – “This home runs on love, laughter and Prosecco”. 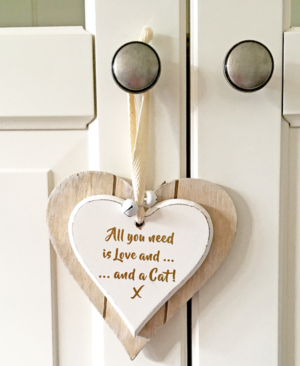 Fans of our feline friends will love this fabulous heart plaque hanging decoration that bears the sentiment “All You Need Is Love & A Cat”.